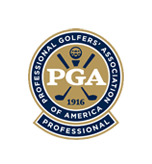 "I have taken golf lessons from many instructors over the years, but with Chris I finally get it..." -Ingrid Fulmer, Boca Raton, Fl. Call 561-207-7600 for private lessons. 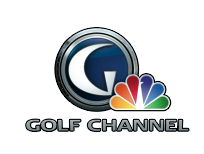 If you can't make it to South Florida and would like advice on your golf game call for a consultation. Chris is helping me to find my way back to playing good golf. I’ve had one lesson so far, and the information that Chris provided to me was spot on. He’s able to look at your swing and diagnose your swing sickness almost instantaneously. 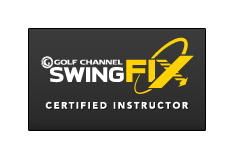 You’ll watch video of your swing and Chris will show you your flaws and what you need to do to fix the flaws. He breaks it down for you and not only shows you the right moves, but he also provides the appropriate swing thoughts/concepts that make sense. In my case, I was also doing a lot of good things in spite of a major flaw, which Chris pointed out to me. That’s important because he’s not going to completely overhaul your swing if you don’t need it. Looking forward to future sessions with Chris. Highly recommend! Chris is an excellent teacher. He really knows how to tailor his instruction to what will help you improve. It is not a one method fits all approach. I have significantly improved my game with Chris. Chris I have to tell you I just crushed the ball off the tee today. My irons were great also. Next time we have to work on putting. I just can't read the greens. Thanks so much for the lesson it was absolutely fantastic!!!! Yesterday I had a lesson with Chris concentrating on Gravity Golf. He got right to the essentials quickly and I had the most satisfying golf lesson ever! He is the best! Chris is without a doubt the best instructor I have ever worked with. He simplifies the golf swing and doesn't have you thinking about a 100 things every time you hit the ball. I highly recommend!! is a reason he won pga teacher of the year. I look forward to working with him again.